Equinat-USA.com has a new blog and a new website! We've retired this blog in favor of the blog that is now integrated into our website where. 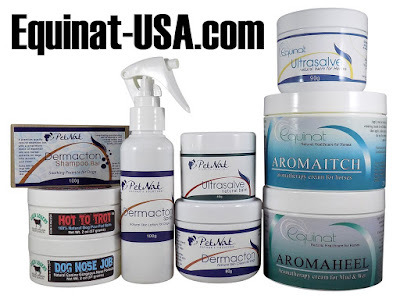 you can purchase PetNat Dermacton products for dogs and Equinat products for horses (+more). We've been selling these ALL NATURAL products online to buyers in the USA and Canada since 2004. We established our domain name in 2005.